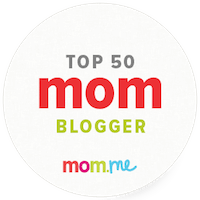 Lady and the Blog → Personal Blog → Named Top 50 Favorite Mom Blogs By Mom.Me!! 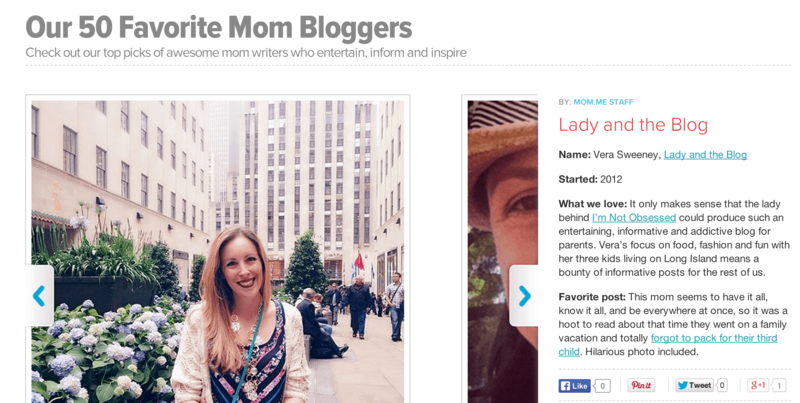 Named Top 50 Favorite Mom Blogs By Mom.Me!! What a WONDERFUL SURPRISE!! I’m currently sailing between Puerto Rico and Grand Turk with limited email access. I’m talking LIMITED. I’m spending 99% of my day actually enjoying this vacation on the Carnival Sunshine with my family. I logged onto the Internet for a moment this morning and found out that I have been named on the ‘Top 50 Favorite Mom Blogs’ list by Mom.me. Thank you!! Such a treat! And what a list – my goodness!! I’m surrounded by so many of my favorites which was such a true honor. To check out the full list, click here.